Difference between revisions of "Why Did Babylon Collapse in the Late Bronze Age?" As the Bronze Age drew to a close in the late thirteenth century BC, Kassite Babylon faced enemies on multiple sides. Just to Babylon’s east was the Kingdom of Elam, which although not in the Great Powers club, became just as prominent in the Late Bronze Age into the early Iron Age. Knowing that the Elamites would be difficult to counter militarily, especially with the threat of the Assyrians in the north, the Kassite kings began marrying Elamite princesses in the early thirteen century BC. 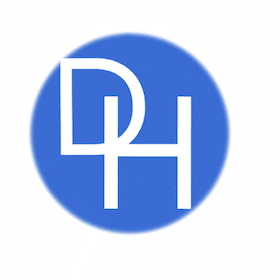 <ref> Potts, D.T. “Elamites and Kassites in the Persian Gulf.” <i>Journal of Near Eastern Studies</i> 65 (2006) p. 117</ref> The diplomatic marriages, though, were not enough to stop the covetous desires of the Elamites, or other groups of peoples. Among all of the great cities of the ancient world, Babylon has one of the longest and most storied histories. Slowing rising from an insignificant settlement in Bronze Age Mesopotamia, it grew until it became the home of conquerors, scholars, and countless religious figures. Babylon was the primary city in Mesopotamia for most of its history and the capital for three of the greatest dynasties in Mesopotamian civilization: the First Dynasty of Babylon (ca. 1894-1595 BC), the Kassite Dynasty (ca. 1530-1159 BC), and the Neo-Babylonian or Chaldean Dynasty (626-539 BC). Over the millennia, Babylon became known just as much for the wealth that flowed through there as it was for being a seat of power and the headquarters of some of ancient Mesopotamia’s most influential religious cults. Babylon reached the apex of its power and prestige during the Kassite Dynasty, which also happened to be one of the members of the unofficial “Great Powers” club of the ancient Near Eastern kingdoms. But almost as quickly as Babylon rose to prominence under the Kassites, it collapsed under successive waves of invaders. The Aramaeans, Elamites, and Assyrians all took part in ravaging Babylon and carrying away it precious statue of the god Marduk on more than one occasion, which vanquished the Kassites from the region and relegated Babylon to hundreds of years of Assyrian rule. At first glance, it would appear that the ancient Mesopotamian Civilization shared many similarities with ancient Egyptian Civilization, and while the two civilizations did have some affinities, there are some significant differences. While Egypt was for the most part ethnically homogenous, Mesopotamia was comprised of several ethnic groups. Little is known about the ethnic origins of the Kassite people before they came to Babylon. It is believed that they probably came to the region of Babylonia in Mesopotamia as mercenaries and agricultural workers before taking advantage of the chaos after the collapse of the First Dynasty of Babylon. 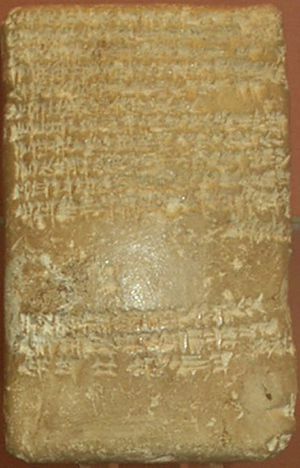 Even the Kassites’ early rule in Babylon is clouded in mystery because there is a lack of existing written sources that document the events and the limitations of modern archaeology in the area have been unable to help further. As the Kassites pursued a policy of cultural continuity in Babylon, they embarked on an aggressive campaign of conquest throughout the rest of Mesopotamia. The Kassites actively consolidated their control of Mesopotamia through a combination of alliances, threats, and outright conquest if the first two methods were ineffective. The conquest of the Babylonia region was complete by 1460 BC, but began sometime toward the end of Burnaburiash I’s rule (reigned ca. 1530-1500 BC) after the Kassite king concluded a treaty with Puzur-Ashur III of Assyria. The Kassites then went on to conquer the southernmost part of Mesopotamia, known as the Sealand, during the reigns of Kashtiliashu III (ca. 1490 BC) and Agum III (ca. 1465 BC),  That left only the northernmost part of Mesopotamia – Assyria – out of their direct control. 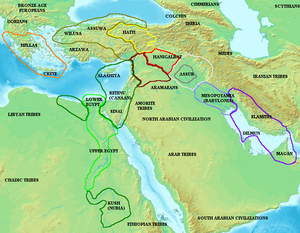 Once the Kassites had established control over most of Mesopotamia, they opened trade routes and diplomatic channels with the other great Near Eastern kingdoms. Modern scholars consider Kassite Babylon to be one of the founding members of the Late Bronze Age “Great Powers of the Near East” club, which also included Egypt, Hatti, Mitanni, and after Mitanni collapsed, Assyria. From 1340-1230 BC most of Kassite Babylon’s major interactions were with the Hittites (Hatti), Assyrians, and Hurrians (Mitanni). The relationships between the Great Powers would ebb and flow, with enemies quickly turning to friends and vice versa. For instance, the Kassites usually had cordial trade relations with the faraway Egyptians, but perhaps sensing an opening, the Babylonian King Kadashman-Turgu (ruled ca. 1281-1264) offered to send Kassite troops to aid the Hittites in a war against the Egyptians. But Kassite Babylon’s biggest threat would always come from the north. Mitanni was in control of the region of Assyria for most of the fifteenth century BC, but in the fourteenth century the Assyrians rose up with the help of the Hittites and toppled the Kingdom of Mitanni for good. The Assyrians would prove to be a problem for all of the other kingdoms in the Near East, but none more so than Kassite Babylon. As the Bronze Age drew to a close in the late thirteenth century BC, Kassite Babylon faced enemies on multiple sides. Just to Babylon’s east was the Kingdom of Elam, which although not in the Great Powers club, became just as prominent in the Late Bronze Age into the early Iron Age. Knowing that the Elamites would be difficult to counter militarily, especially with the threat of the Assyrians in the north, the Kassite kings began marrying Elamite princesses in the early thirteen century BC. The diplomatic marriages, though, were not enough to stop the covetous desires of the Elamites, or other groups of peoples. By the time the Arameans had begun their raids on the territory of Babylonia, Kassite Babylon was already subordinate to the Assyrians. The Assyrian King Ashur-Uballit I (ruled 1363-1328 BC) helped put down a rebellion in Babylon during the rule of the ephemeral Karahadash (reigned 1333 BC) and then installed Kirgalzu II (ruled 1332-1308 BC) on the throne, effectively making Babylon a puppet of Assyria. The Babylonians were still somewhat strong enough to place their king, Kashtiliashu IV (reigned 1232-1225 BC) on the throne before the Assyrian King Tukulti-Ninurta I (ruled 1243-1207 BC) usurped him and placed Enlil-nadin-shumi (1224 BC) on the throne and then two of his successors. 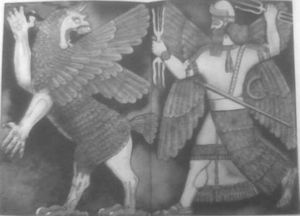 The Assyrian king decided to send a clear message to Babylon by destroying its walls and taking the sacred statue of Marduk back to Assyria. Although the statue of Marduk was returned to Babylon, it would only be there less than 100 years. Around the year 1155 BC, the Elamites attacked Babylon from the southeast, and the Assyrian came from the north in a pincer movement that officially ended the Kassite Dynasty. The Marduk statue was taken to the Elamite capital of Susa and Babylon would be relegated to a second rate city. Babylon passed into Assyrian hands for about five hundred years until the Neo-Babylonian Dynasty brought the city back to its once great stature. Babylon was one of the greatest cities of the Bronze Age Near East, reaching its peak of influence and power during the Kassite Dynasty. The Kassites accepted most of the previous religious and cultural traditions of Babylon and expanded their reach throughout the region through military and diplomatic endeavors. Eventually, though, Kassite Babylon suffered the same fate that the Hittites did at the end of the Bronze Age. Roving bands of Aramaean raiders, as well as more coordinated attacks by the Assyrians and Elamites ultimately proved to be fatal for Late Bronze Age Babylon.